RICHMOND, Va. (WVIR) - Thursday, Virginia Democratic Governor Terry McAuliffe says he and Republican lawmakers will be “very conservative" in how they deal with the budget. That's as the Washington Post reports there could be up to a $1.5 billion hole. Coming up Friday morning, McAuliffe is expected to appear before a panel of lawmakers with an update on the budget. The governor says he's very concerned about these financial problems, but thinks leaders are taking the right steps to get on a better track. McAuliffe responded to questions on a Richmond radio show about the state's budget Thursday. The Washington Post says Virginia might be facing one of the biggest shortfalls in the commonwealth's history. “I met with the Republican leadership the other day, we're all in agreement, let's do it conservative, we rather keep it there, and have to add later, than have to go back and cut later," said McAuliffe. After that hearing, a panel of lawmakers will meet with University of Virginia leaders, the auditor of public accounts, and former Rector Helen Dragas about the school's $2.3 billion strategic investment fund. “We're going to have hearings and I wholeheartedly support them. Let's not prejudge. I never like anyone to prejudge. Let's get a look at it, let's get a full understanding. May come out to be perfectly fine. We don't know, but let's get through the process," said McAuliffe. "I'd look twice about raising anyone's tuition." 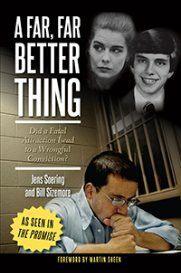 After the program, NBC29 also asked the governor to give his reaction to Jens Soering and his latest plea for a pardon, this time based on new DNA evidence. "Once we get it, we're going to give it a thorough review, and do what's in the best interest of justice," said McAuliffe. 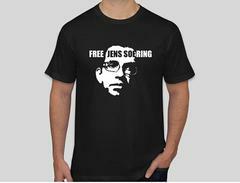 As a student at UVA, Soering was convicted of murdering his then-girlfriend's parents. McAuliffe says he did not agree with his predecessor, Tim Kaine's reasoning, of sending Soering back to Germany. "I don't believe we should just send him back for the sake of sending him back, and then he could be released after committing heinous crimes here in Virginia. But if there's new evidence that comes out that exonerates him, then I'll look at that," said McAuliffe. Friday’s hearing on the budget is scheduled to begin in the General Assembly building at 8 a.m.